Brian Thomas is a Senior Lecturer in the Department of Electrical and Computer Engineering. 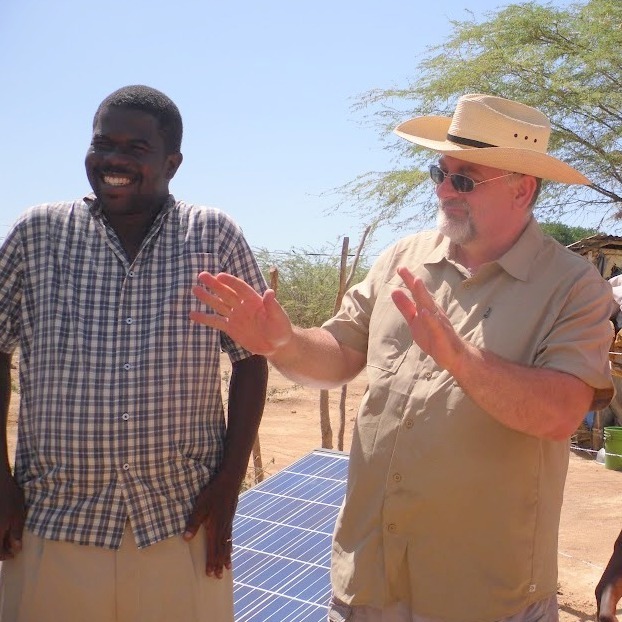 He has served as the faculty advisor for Engineers with a Mission since its charter in 2004 and advises engineering students through the new Humanitarian Engineering concentration he spearheaded. Professor Thomas has been a faculty member at Baylor since 2001. In this edition’s Faculty Q & A, Professor Thomas discusses his passion for combining engineering and missions. Q: You recently headed up the humanitarian engineering concentration for engineering majors. What can students who select this concentration expect in the classroom and after graduation? A: The Humanitarian Engineering (HE) concentration will be one of several choices that the BSE students (general engineering) will be able to choose. Others are the Biomedical concentration, the Environmental concentration, and the Geo-petro concentration. Students that want the HE concentration will take classes in solar energy, water pumps and water wells, social entrepreneurship, and ethics for international service, for example. The purpose of the concentration is to prepare students to work in the international development sector with refugees or people in poverty, perhaps for a humanitarian NGO or a Christian missions organization in a poor country. There are only a small number of schools in the country that have a concentration or minor in Humanitarian Engineering, and fewer still are doing what we’re trying to do: combining engineering best practices in international development and social entrepreneurship with a long history of Christian missions. Q: What is your favorite course to teach and why? A: In the last couple of years, my favorite class has been EGR 3315, Ethics for International Service. We keep the enrollment low so that every day we can have good discussions about assigned readings. The list of topics includes the history of Christian and secular thought about development, different views of poverty including a biblical view, the influence of modernism and postmodernism on our understanding of missions, biblical and social justice (especially as it relates to violence and human trafficking), and how to find a job in the international development sector after graduation. It’s not your typical engineering class! We also spend the night at the World Hunger Relief farm where we build fuel efficient wood-burning stoves, gather our own firewood and water from a distant source, and even kill, clean, cook and eat a chicken for lunch. It’s a lot of fun. Q: How has your interaction with students had an impact on you personally and professionally? A: One of my favorite things to do is take students abroad on service-learning trips. For the last three years we have been going to Haiti, before that it was Honduras, and before that it was Kenya. This year was my twelfth or thirteenth trip-I’m losing count. I love these trips because it gives me the opportunity to work alongside students in a non-evaluative role. I’m not assigning any grades; I’m just trying to help them learn about renewable energy, other cultures, God’s heart for the poor and marginalized, and what not to eat. I am supremely privileged to, for a short time, play the role of their friend, their guide, their father-figure, their pastor, and their doctor. I sense the Holy Spirit at work in me when I am abroad with students. And when I see the caliber of the students we have, not just intellectually or analytically, but in their character and their sensitivity and their love, it gives me great hope for the future. Q: What do you enjoy about advising the student organization, Engineers with a Mission? A: I really loved seeing the students organize an outreach to the entire student body last spring. We call it Camp [in]Justice and this was our third or fourth year to do it. Out on Fountain Mall the students built slum style houses like you might find in a poor country in an effort to highlight the plight of much of the world’s population. They brought in interesting speakers and a great worship band. They did a great job, and I was really proud of them. Q: What kind of work have you done in Haiti? A: In Haiti this year we built five solar power stations for charging cell phone batteries. Working with local leaders, we identified five families living in areas without access to electricity who were strong leaders in the church and community. Each family received one of the solar power stations and set up a business charging cell phone batteries in their neighborhoods. We facilitated the formation of an association that uses group liability to ensure that money is set aside for repairs and maintenance and that the electricity is also used for outreaches such as helping children study at night by using the electricity to provide light. Of course, we had some technical problems, but the businesses are now thriving! A: Last summer my family and I sold our house in Woodway and moved to a loft apartment in downtown Waco. We love it! We have enjoyed having students over many times and like the proximity to the campus. Also, the kind folks over at Mission Waco have allowed me to direct a program under their umbrella to try and broaden the outreach beyond Baylor. The program operates like it’s a small non-profit and is called the Justice and Mercy Engineering Society (JAMES). We try to help humanitarian engineers find jobs, and we train people to design solar energy systems for their own ministries. One of our recent graduates, Caleb Traylor, worked with me to design a solar energy system for an organization his home church works with closely. Over spring break they travelled to the Dominican Republic and Caleb led the installation! That’s what I want to do more, empower other people to serve in the places where they are already connected. People can learn more at www.justiceandmercy.engineering. People may be confused about the difference between the Humanitarian Engineering concentration, Engineers with a Mission, and JAMES. I see Engineers with a Mission as extra-curricular, the Humanitarian Engineering concentration as curricular, and JAMES as post-curricular, but all are doing the same thing: enabling engineers to serve the world’s poorest in Christ’s name.